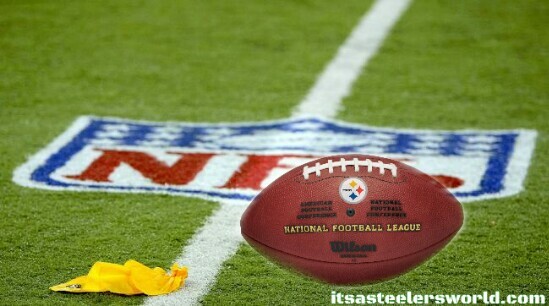 7 of 19 NFL Rule Change “Proposals” Voted on and Passed | "IT'S A STEELERS WORLD"! Is it going to far? Is it ruining the game? NFL Owners voted on & passed 7 playing rule proposals from the Competition Committee. Below are the proposals presented and approved. Rule 1: Permanently moves the line of scrimmage for Try kicks to the defensive team’s 15-yard line, and allows the defense to return any missed Try. Rule 2: Permits the offensive and defensive play callers on the coaching staffs to use the coach-to-player communication system regardless of whether they are on the field or in the coaches’ booth. Rule 3: *Makes all chop blocks illegal. Rule 4: Expands the horse collar rule to include when a defender grabs the jersey at the name plate or above and pulls a runner toward the ground. Rule 5: Makes it a foul for delay of game when a team attempts to call a timeout when it is not permitted to do so. Rule 6: Eliminates the five-yard penalty for an eligible receiver illegally touching a forward pass after being out of bounds and re-establishing himself inbounds, and makes it a loss of down. Rule 7: Eliminates multiple spots of enforcement for a double foul after a change of possession. The Pittsburgh Steelers backed the rule to make all chop block illegal. This is a rule that I agree with, along with the expansion of the “horse collar” rule..because anything that can prevent further player injury I am all for. As for the rest of the meaningless rule change proposals? “NONSENSE”! Utter and complete nonsense and should not be addressed any further.